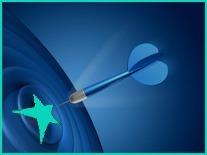 We are a specialised pharma job site, with a very focused readership. Our readers are all highly educated pharma experts, actively looking to improve their career opportunities in international research organisations - and their life-style while doing this. Are you recruiting? See our Recruitment Section or send us a job now. Any questions about advertising? Email us at info@europharmajobs.com or call us on +32 2 790 3200. See more detail on these options below. Let us display your message in banner advertisements to lots of users. An ad on EuroPharmaJobs will give you access to this large but focused audience. We offer website advertising through Top Banners which are located at the top of the page. Reach all our focused job seekers in one day, in an email that is read carefully by the recipient every week. 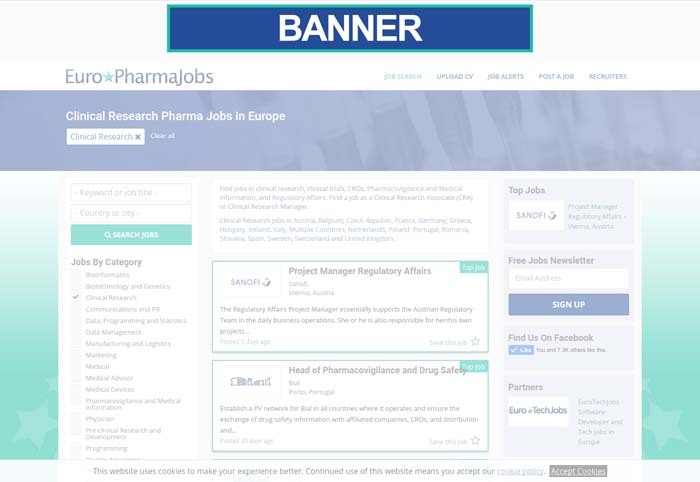 Your ad can be placed at the top of this efficient news medium - just below the EuroPharmaJobs logo. We offer rebates for multiple orders. Please note text may be adjusted to suit our style. allowed us to get a variety of candidates. We have a focused, audience that is normally difficult to reach. EuroPharmaJobs has a very straightforward weekly cycle for our clients. We would be pleased to put together an attractive package offer to reach the right audience for you. For all advertising enquires, please contact us at info@europharmajobs.com. EuroJobsites Ltd (the parent company of EuroPharmaJobs) is VAT registered. No VAT is payable if you are VAT registered (unless you are based in the UK). You will need to supply a VAT number to show your company is VAT registered. If your company is based outside of the EU, no VAT is payable (no VAT number required).